The decision to develop a new product at Seagate is based upon 3 key factors: 1) whether the company can produce the raw material themselves, either from their farming or fishing operations; 2) whether the product is different or unique from products already available in the health food industry; and 3) whether the new product has value, can be made profitably, and fulfills a nutritional need that would create a demand by consumers. Seagate began processing lemons in 2012. The purpose of this project was to produce a high-quality freeze-dried whole lemon concentrate including the juice, the seeds, the rind and zest. Lemons were transported to the North American continent by Spain while they were conquering their “New World”, during the late 1400s to 1500’s. Lemons are very hardy trees, thriving in a mild Mediterranean climate, with limited rainfall, hot temperatures and plenty of sunshine. 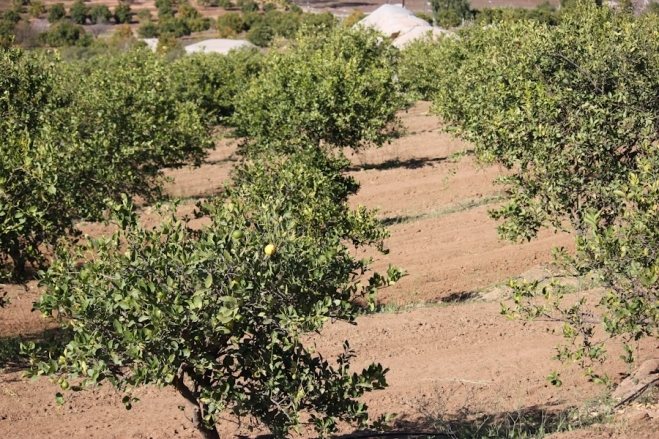 Lemon trees grow effortlessly in Baja California with little maintenance. The most difficult work is trimming back the excess growth during the Fall, to encourage the tree to continue to produce new fruit. 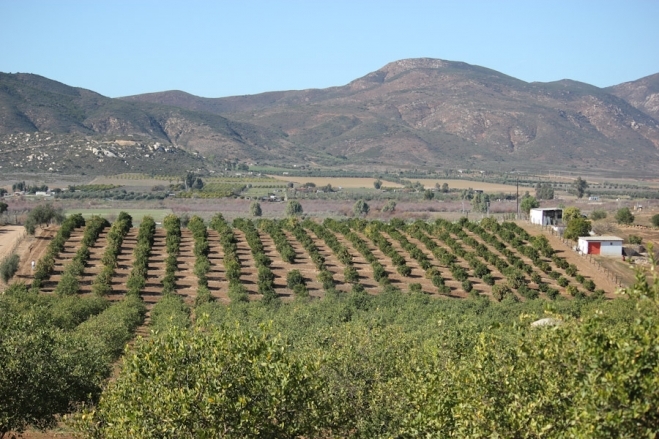 Seagate receives their lemons from their own trees and from neighboring orchards near the factory in Ensenada, Baja California. The lemons are cut and brought to Seagate’s plant on the same day that they are harvested. Upon arrival, the lemons are emptied directly from the truck into the rotary wash tank. The stainless-steel wash tank rotates the lemons in a bath of water. Any residual dirt from the farm or from transport is removed and settles to the bottom of the tank. 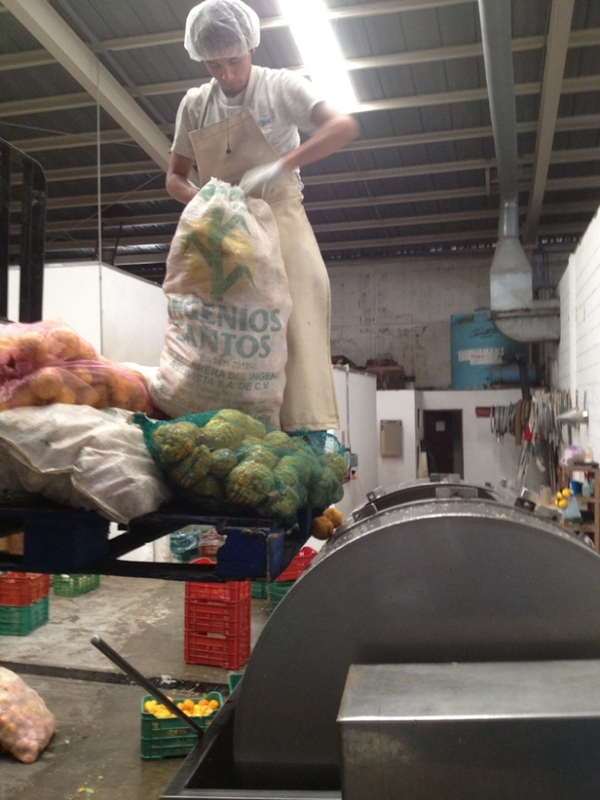 The cleaned lemons are then brought to the wet-grinding room. All of the products that Seagate freeze-dries must be ground into smaller pieces prior to drying in order to increase the surface area that will be in contact with the vacuum. The grinding machine pictured above reduces the lemons to ¼” pieces. The lemons are fed into the large funnel at the top. The ground up pieces along with any liquid juice are collected in a bin below the grinder. This material is then brought to one of the large vacuum-dryers. The dryer in this picture can hold 2 metric tons of wet ground lemon particles. Once the large door is closed and the tank is sealed, the vacuum pumps remove almost all of the air from the chamber. The resulting vacuum reduces the boiling point of water to less than 32 degrees F. At this point the large stainless steel tank begins its slow rotation, which keeps the lemon particles tumbling and in continuous contact with the vacuum. Since the lemon particles were initially loaded into the chamber at room temperature (~65-70F), the very fast initial evaporation of moisture from the lemon causes the temperature of the product and of the tank to quickly fall towards zero. Automatic process controls take over at this point, pumping in sufficient heat so that the product continues to evaporate without the temperature falling any further. If the product temperature were allowed to drop below zero degrees, the amount of time required to dry this product would increase from the normal 2 – 3 days batch to longer than one month. The dried lemon particles are removed and ground into a powder at the conclusion of the 2-3 day drying cycle. Originally the plan was only to encapsulate the powder. However, Seagate discovered that mixing the powder with water makes a very tasty whole lemon drink. The lemon zest that is captured from drying the outer skin will even give a slight yellow tint to the water as it is being mixed. Look for the addition of Lemon Powder bottles to the Seagate line early in September, 2012. The fish picture of the week is actually from the perspective of a fish watching some interesting land creatures with air tanks strapped onto their backs, as they slowly ascend the anchor line on their way back to the surface. These divers were not warned about touching the line with their bare hands as they ascended. There are many different microscopic sea animals that take up residence in the braided line that can sting and sometimes transfer into the skin of an unsuspecting diver. Several of these individuals experienced multiple stings on the palms and fingers of their hands.